Lok Sabha Elections 2019: Ankita Patel, national secretary of the Mahila Samiti of the BJP Kisan Morcha, submitted her resignation to party chief Amit Shah claiming that MP Natubhai Patel had done nothing for the constituency despite being parliamentarian for two terms since 2009. 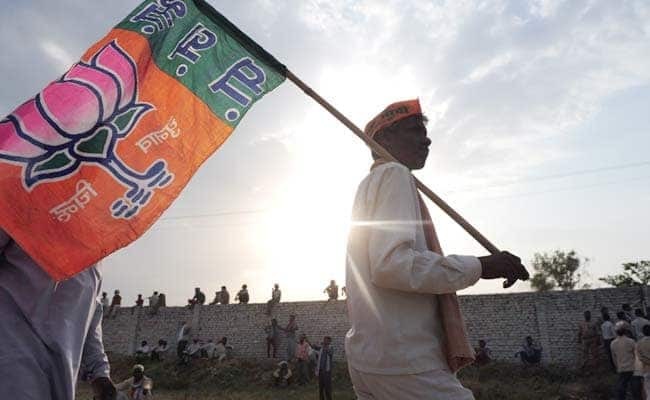 A woman BJP leader Sunday resigned from the ruling party after it re-nominated sitting Member of Parliament or MP Natubhai Patel from the Dadra and Nagar Haveli Lok Sabha seat. Ankita Patel, national secretary of the Mahila Samiti of the BJP Kisan Morcha, submitted her resignation to party chief Amit Shah claiming that MP Natubhai Patel had done nothing for the constituency despite being parliamentarian for two terms since 2009. Party leaders said the Kisan Morcha national secretary, who was appointed to the post about a year ago, was upset as she was expecting to be fielded from the Scheduled Tribe reserved constituency. "There are thousands of youth who are unable to get jobs either in the private or government sector. Their domicile benefit was taken away but our MP (Natubhai Patel) did not raise the issue in Parliament," she said. Continuing her attack, Ankita Patel said, "The level of education is going down day by day. Our government schools do not have permanent teachers. People here are deprived of basic benefits." "There were two villages which had no electricity. It was through my appeals that they got electricity. People trusted me because I worked for them on the ground. When I did not see that happening, I took a stand saying I would not like to continue," she said.